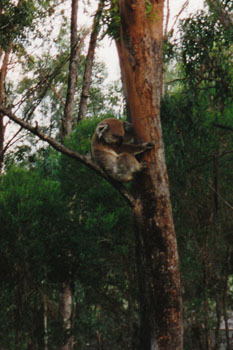 As part of my PhD research I was able to travel to Australia a total of 4 times, Jan 1999, Feb 2000, Aug 2000 and Feb 2003. Here are some of the photos from my first trip. 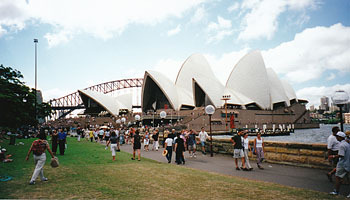 I left London on the 24th Jan 1999 and after passing through Singapore I arrived in Sydney the following day. I had travelled to Australia to use the Anglo Australian Telescop, located in the Warrumbungle National Park on Mount Woorat. 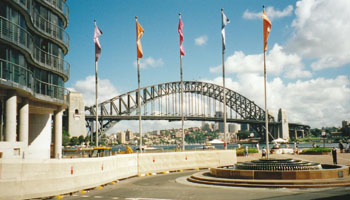 The Sydney Harbour Bridge, from near the Opera House. 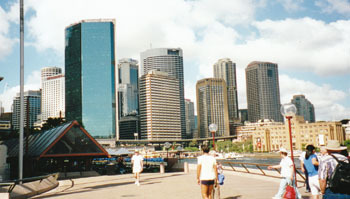 Circular Quay, from near the Opera House. 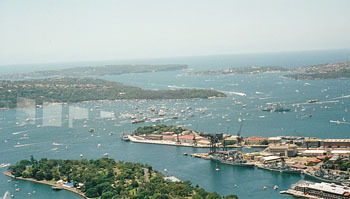 The view East over Sydney bay from the AMP Skytower. 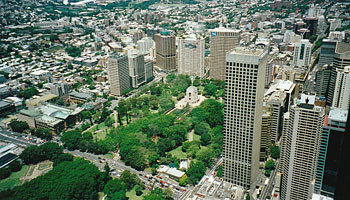 A view of Hyde Park from the AMP Skytower. 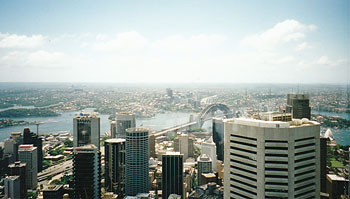 The view towards the Harbour Bridge from the AMP Skytower. 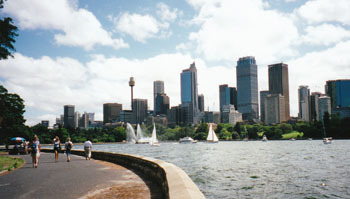 A view of Sydney from near Mrs Macquaries Chair in the Royal Botanic Gardens. 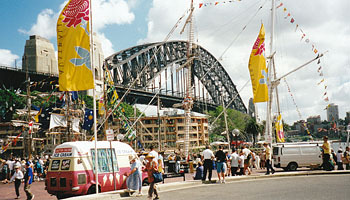 The Sydney Harbour Bridge and Opera House from near Mrs Macquaries Chair in the Royal Botanic Gardens. Ian Crawford (my PhD supervisor) and a view of the Warrumbungle National Park from the AAT site. The building and dome of the Anglo Australian Telescope (AAT) which is a part of the Anglo Australian Observatory (AAO). 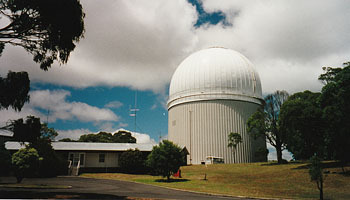 The AAO is located at Siding Spring near Coonabarabran in New South Wales. 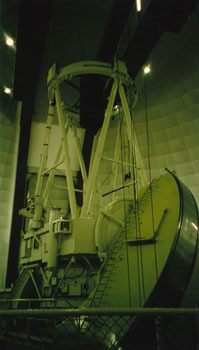 A view of the AAT inside the dome. 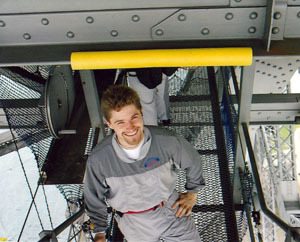 This photo was probably taken from the walkway which circles the AAT dome. A view of some of the other telescope domes on the AAO site. The AAT is the largest dome, located on the right. 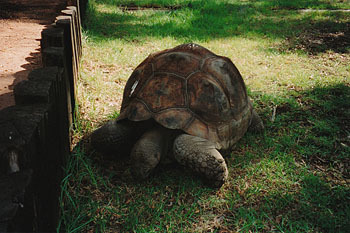 After we had finished observing at the AAT Ian Crawford and I stopped in at the Dubbo Zoo. 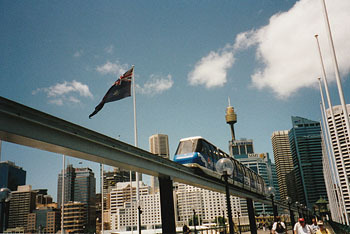 The monorail that runs to Sydney's Darling Harbour. 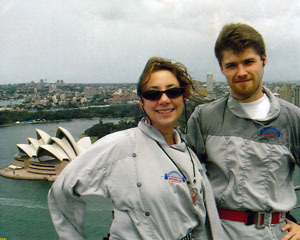 While I was in Sydney I met up with my cousin, Yvonne, and we did the Harbour Bridge climb. Yvonne and I. While I was there I also visited the house she was renting in Manly. 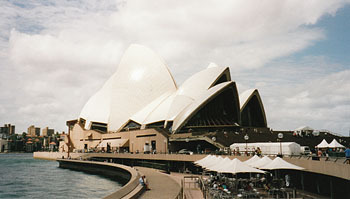 I flew from Sydney to Singapore.